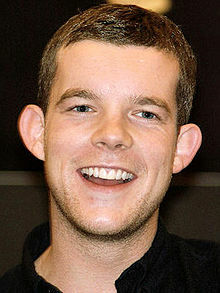 Freedom Fighter hero joins the Arrowverse cross-over "Crisis on Earth-X"
Hot on the heels of announcing this year’s big “Arrowverse” crossover, the CW has announced the casting of the live-action version of The Ray: Russell Tovey. The name may sound familiar to you if you’re a fan of British genre shows, as Tovey played a reluctant werewolf on the original British version of Being Human, guested on Sherlock, and danced around the Whoniverse as Midshipman Alonso Frame on Doctor Who. And he’s about to break into American television in a big way. 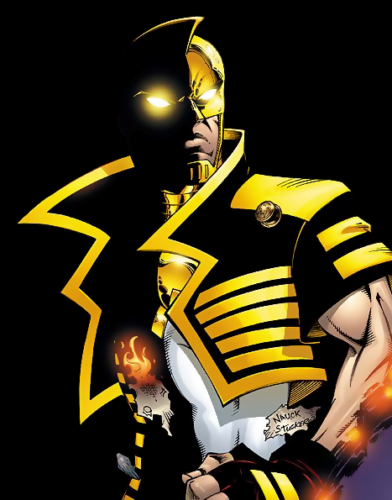 Though the upcoming CW Seed animated Freedom Fighter: The Ray sounded as if the TV version would be close to the one running around in Justice League of America right now (the son of the original Ray), Tovey may be playing the original Happy Terrill, a reporter who ran afoul of an experimental energy and emerged with light-based powers. It wouldn’t be the first time that the CW has done this, where the animated Vixen appeared on Arrow, but it’s that character’s grandmother who currently serves as a member of DC’s Legends of Tomorrow. The Arrowverse has been really good about establishing the legacy of the DC Universe. 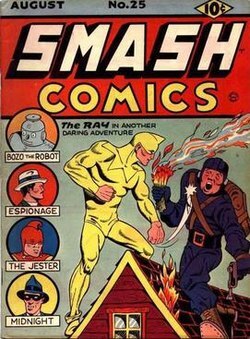 The original Ray “Happy” Terrill appeared in Smash Comics from Quality Comics in the 1940s, appearing again in 1973 with Justice League of America #107, written by Len Wein. 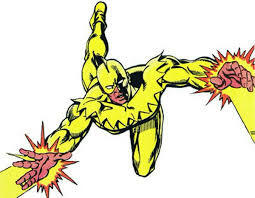 His team, the Freedom Fighters, had a short-lived title after that, and has been revived from time to time. After Crisis on Infinite Earths, a new Ray was introduced, Happy’s son, who has served on various super-teams. Most likely at least the look of the second Ray will be used for both animation and television because, let’s face it — he has the cooler costume. We’ll find out as the fall season plays on… “Crisis on Earth-X” will show on the CW November 27 and 28.